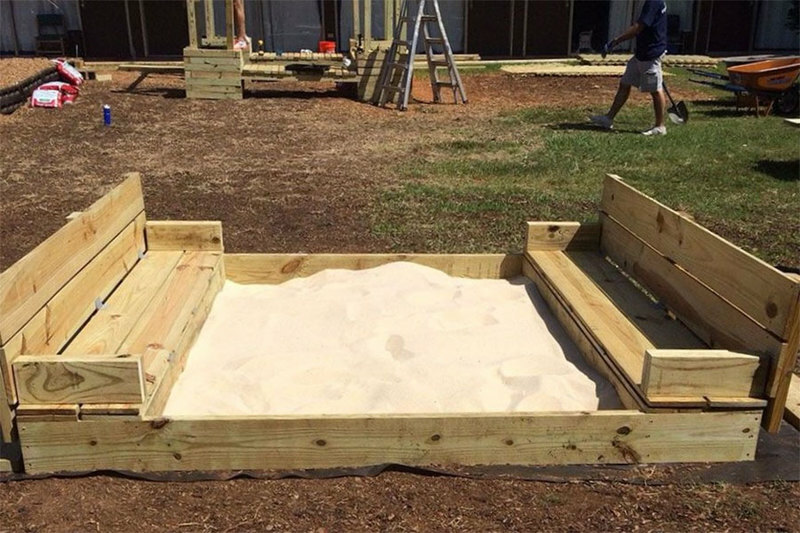 Build a DIY sandbox with folding lid and seats | KaBOOM! Building with sand is great for children's healthy development. 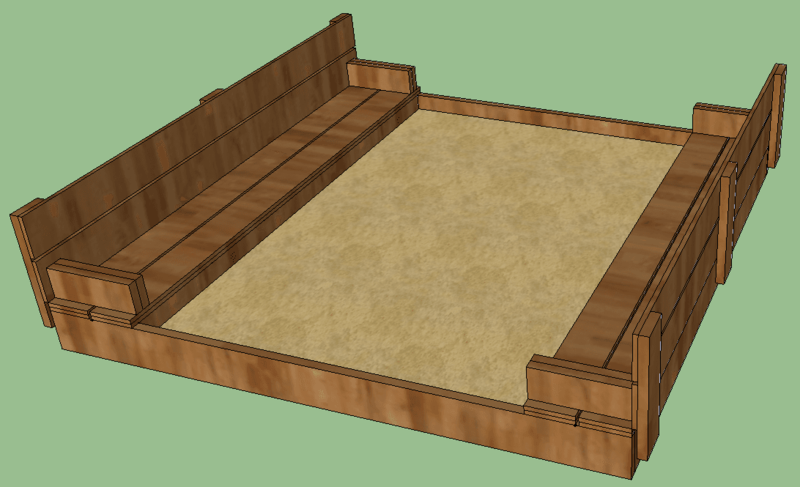 The recommended plans are for a fabulous sandbox with a lid and seating. Sort all materials into piles by like items to ensure you have materials needed to complete the project. Take  of the 2x8x8' boards. 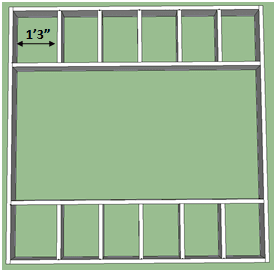 Cut  2x8x7'9" length from each piece, for a total of  2x8x93" pieces. Take  of the 2x8x8' boards. Cut  2x8x12½" length from each piece, for a total of  2x8x12½" pieces. Take  of the 2x6x8' boards. Cut  2x6x15½" length from each piece, for a total of  2x6x15½" pieces. Take  of the 2x6x8' boards. Cut  2x6x20½" length from each piece, for a total of  2x6x20½" pieces. Inventory and sort all of your materials. Assemble the sandbox frame as shown to the right. Screw the 2x8x8' side into the 2x8x93" sides with two 2 1/2in deck screws on each side to hold in place. Use a speed square to ensure angles are perpendicular. Attach the inside frame supports. Run your remaining two 2x8x93" pieces parallel to the 2x8x93" already in place. Be sure there is 12 ½" between the boards. 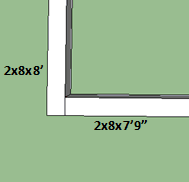 (Hint, use one of your 2x8x12 ½" pieces as a spacer.) Attach using 2 ½" deck screws. Next, add support joists. 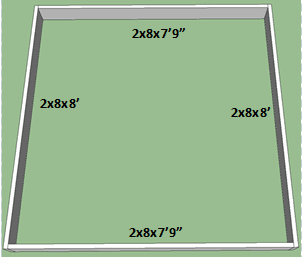 Attach the 2x8x12 ½" pieces running perpendicular in between the two 2x8x93" pieces (5 per side). They should be spaced at approximately 15" on center. (Note: 15" is an approximation. Do your best to space evenly). Attach using the 2 ½" deck screws. Attach the first two lid pieces. Take two of your 1x8x8' pieces and attach into the 2x8 support joists using the 2 ½" deck screws. 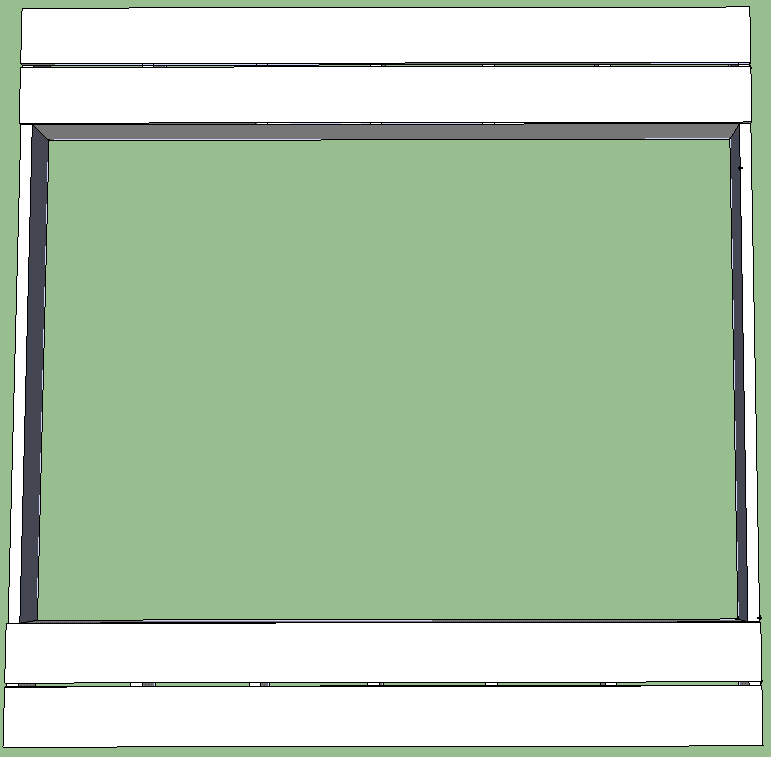 The first one should be flush with the corners of the frame, the second should be attached with a ½" space between the first. Repeat on the other side of the sandbox. Create the bench bottom. Lay two 1x8x8' pieces parallel to one another, spaced ½" apart. 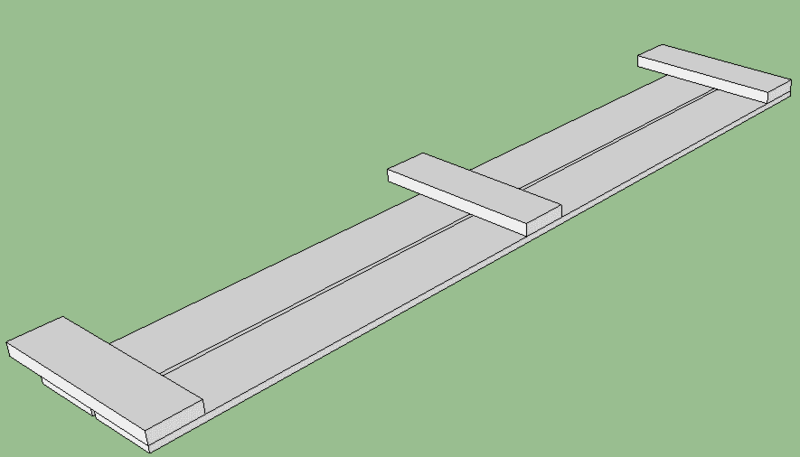 Lay the 2x6x15 ½" perpendicular to the boards, offset 1 ½" from the edge of the end of the 1x8. Attach using the 2 ½" deck screws. 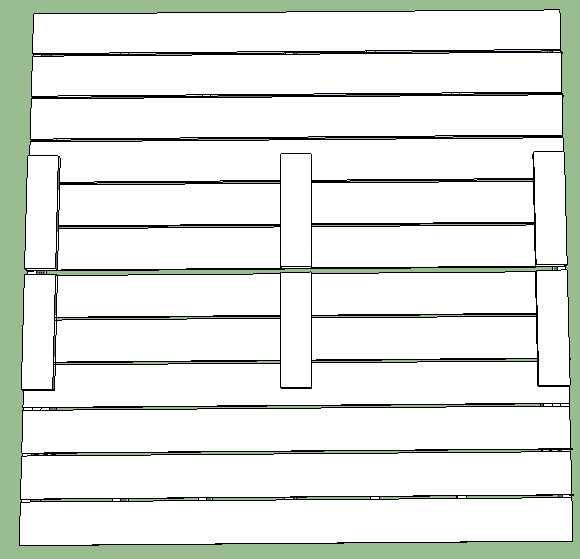 Attach the second 2x6x15 ½" to the inside of the first 2x6x15 ½". 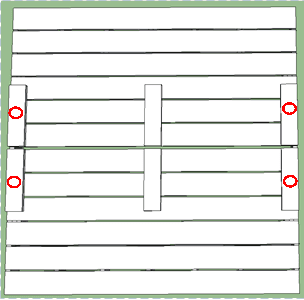 Repeat this step again to make a second bench bottom for the other side of the sandbox. Attach the bench bottom. Lay the bench piece you created in step 6 parallel to the first two lid pieces, spaced ½" away, with the 2x6's on the bottom side. 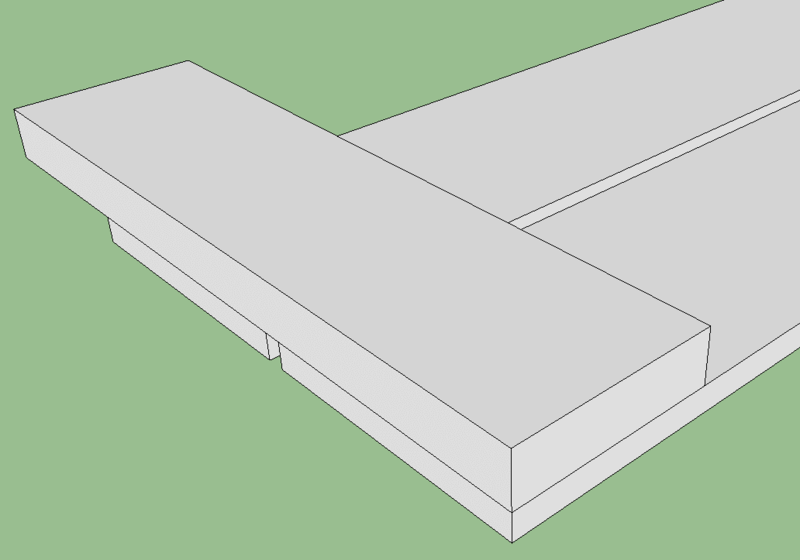 Attach with three hinges (per side) on the top of the sandbox. Create the bench back. Lay two 1x8x8' pieces parallel to one another, spaced ½" apart. 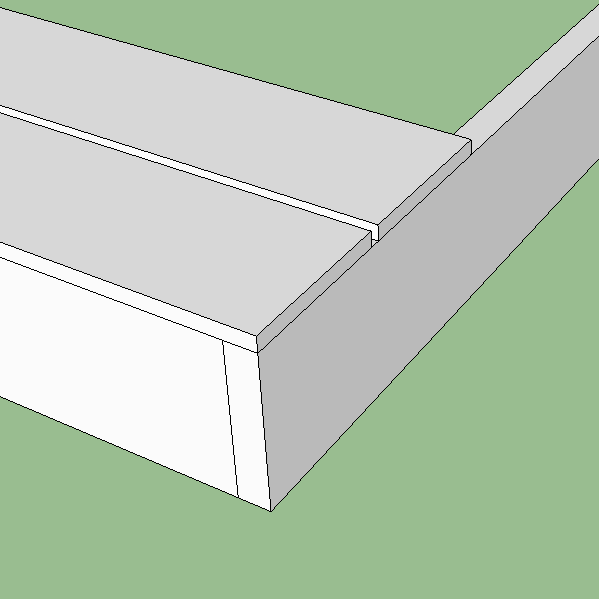 Lay two 2x6x20 ½" per side) perpendicular to the boards, flush with the edge and one corner. 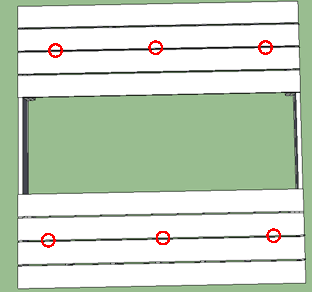 The 2x6s will extend past the edge at the 1x8 corner. 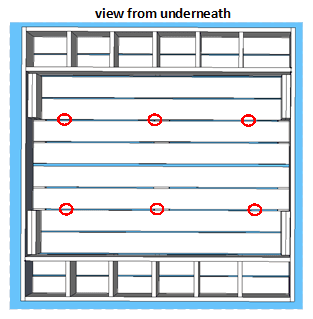 The third 2x6x20 ½" should be flush with the top and centered in the middle of the 1x8x8' Attach using the 2" deck screws. Complete this step twice. Attach the bench back. Lay the bench pieces you created in the previous step parallel to the bench bottom, spaced ½" away, with the 2x6's on the top side. Attach with three hinges per side, this time on the bottom side. Attach two handles to each side into the 2x6s on the ends. Move the sandbox to its final location, open the sandbox and fill it with sand! The sand should fill the box halfway (this will allow it to close). If you'd like to learn about more useful tools and information from KaBOOM!, please consider subscribing for updates!